“Democracy should be understood as a movement, as one process, and not as a monolith. Anyone who tries to approach the ideal of the democratic system falls into frustration, because it is afraid that it will not be reached as such. 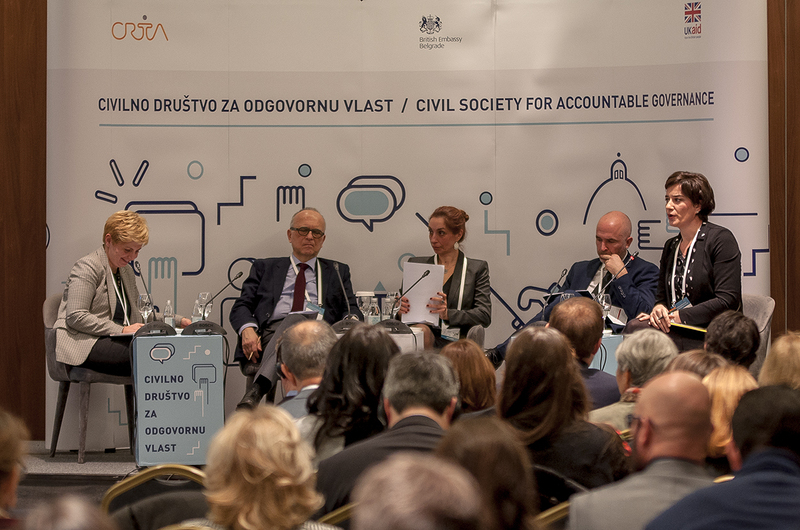 A strong and stable democracy has many steps, because democracy is progress”, said Dušan Reljić head of the Brussels office of the German Institute for International Cooperation and Security and Time and opened the conference” Civil Society for Responsible Authority “. The first day of conference begin with the panel “Democracy: the only game in the city?”, where speakers Marika Djolai – international development consultant and political analyst for the Western Balkans and Eurasia, Srđan Cvijić – senior public policy analyst for an open society, Jovana Marović – Director of the Politikon Network and Dušan Reljić, agreed that confidence in civil society organizations has fallen, that it is necessary to work directly with the citizens, and that in 2025. institutions should be independent, and the media is free, with the focus on passing laws. “The idea of ​​this gathering is that after a wide consultation, we come to a framework that can serve to understand what kind of democratic society we want in 2025. That is why we will talk about a recipe for democracy, about creating a dialogue and trying to raise as many topics as possible which is important for development of a democratic society. 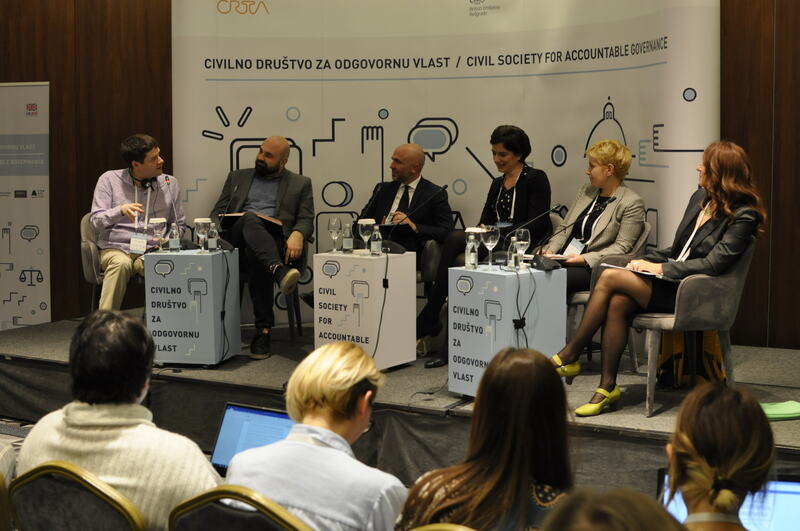 Also, within this initiative, we analysed the state of democracy through five areas, which additionally contributed to understanding the problems and challenges that democracy faces today with”, said Vukosava Crnjanski, director of the Crta. 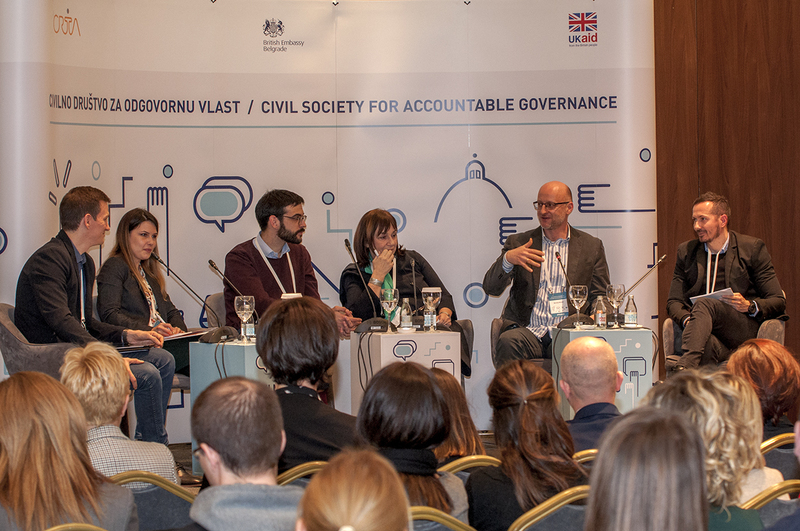 The conference is part of the initiative, which CRTA conducts together with four partners – Transparency Serbia, Center for Judicial Research, Slavko Ćuruvija Foundation and A11 Initiative for Economic and Social Rights, with the support of the British Embassy in Belgrade. The main topics of the discussion during the two-day conference are the contemporary challenges that affect the quality of democracy, such as violation of the independence of the judiciary, the decline in the quality of work of the parliament, the deterioration of the position of independent bodies, the violation of media freedom and the restriction of the right to information of public importance. The aim of the conference is to initiate a dialogue on the current state of democracy in Serbia, the region and Europe with the intent to develop recommendations for overcoming the existing problems. The gathering brings together representatives of civil society, the academic community, policy experts, judges, journalists, representatives of public institutions and the international community who are ready to actively advocate democratic and accountable public authority. On the second panel “State of Democracy in Serbia”, Tara Tepavac in front of Crta, Danilo Ćurčic – Program Coordinator A11 Initiative for Economic and Social Rights, Vida Petrović Škero – Deputy Chairman of the Management Board of the Center for Judicial Research, Nemanja Nenadić – Program Director of Transparency Serbia and Rade Đurić in front of Slavko Ćuruvija Foundation, presented the biggest irregularities that influence the development and strengthening of the democratic system in Serbia. It is pointed out that the Republican Parliament is fully in the hands of the executive power, that the adoption of the law by urgent procedure has become a regular practice, and that there is a noticeable absence of debate, public listening, and the submission of numerous amendments to laws and in the setting of parliamentary questions. Also, it was emphasized that in the drafting of an amendment to the Constitution in the field of judiciary, “for the first time in Serbia” experts did not participate, that it was not actually known who wrote them, except that it was done in the Ministry of Justice. Also, the Parliament is not interested in cooperating with independent institutions, and since 2014. it does not consider their work reports, nor does it accept their bill proposals. The current topic regarding the selection of the Commissioner for Information of Public Importance and Protection of Personal Data has once again proved its importance, since it was pointed out that certain amendments to the Law on Access to Information of Public Importance are very controversial, because these amendments to the Commissioner cease the possibility for the state authorities to issue money penalties for failure to comply with the institution’s decision. The conclusion of these analyses was completed with an entire overview of the media sphere in Serbia where there is no serious monitoring of the control of media work and securing media pluralism by the Ministry of Culture, the Provincial Secretariat for Culture and Regulatory Authority of Electronic Media. The third panel brought together the aforementioned experts who together with Ivan Jovanović – the head of the board in Blic newspaper, made their conclusions and the necessary measures that should be taken in order to achieve the intended goals in creating a democratic society. The conclusions of first day will be discussed in greater detail within the five working groups during the second day of the conference, with the aim of including various proposals and perspectives in the final report from the conference on the state of democracy.